The Anatolian Shepherd originated in Turkey. The dog was bred as a flock guardian and shepherd's companion and were bred to be the same size and color as the flocks they guarded so that predators would not know where the dog was. Most revered in the past for their fearless battles with wolves and other predators, the Anatolian Shepherd is still used as a flock and guard dog today. The Anatolian Shepherd was brought to the United States in 1950. 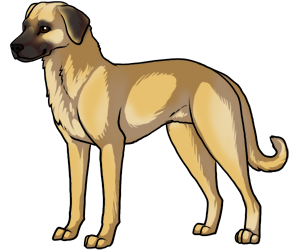 It is believed that the Anatolian Shepherd dates back 6,000 years ago to mesopotamia.